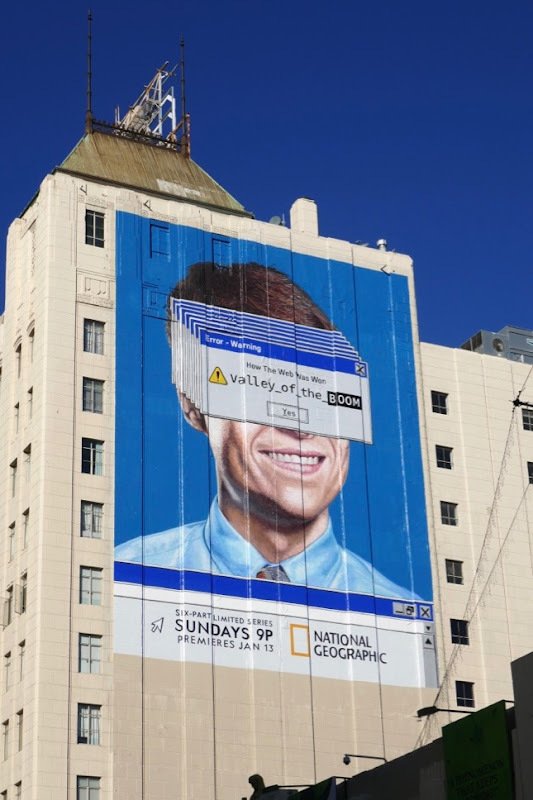 This January National Geographic is flashing back to the past with its new docudrama limited series, Valley of the Boom. 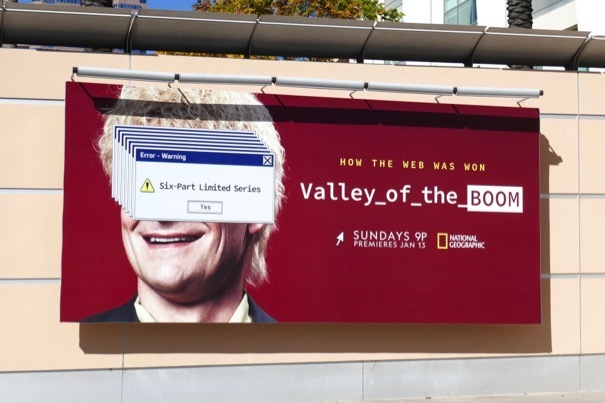 The six-part mini-series features scripted storytelling and documentary interviews and explores the fertile landscape of Silicon Valley in the 1990s when the internet started to blossom, which spawned technological visionaries, charlatans and power brands alike. 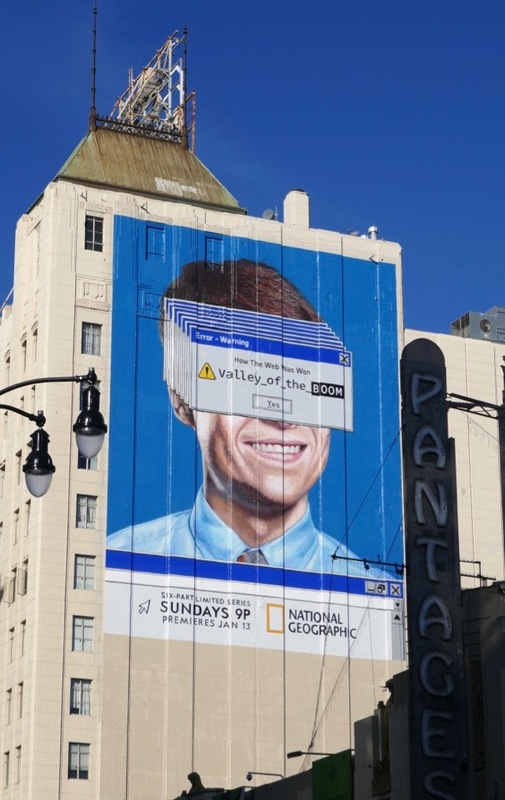 The giant hand-painted wallscape for Valley of the Boom was photographed high above Hollywood Boulevard on January 9, whilst the landscape billboard versions were spied at Fox Studios along Pico Boulevard on January 19, 2019. 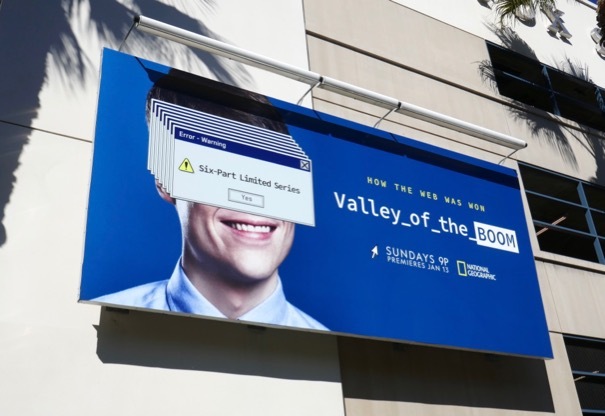 For a more satirical take on the tech industry make sure you also check out these billboards for HBO's Silicon Valley comedy set in modern times. 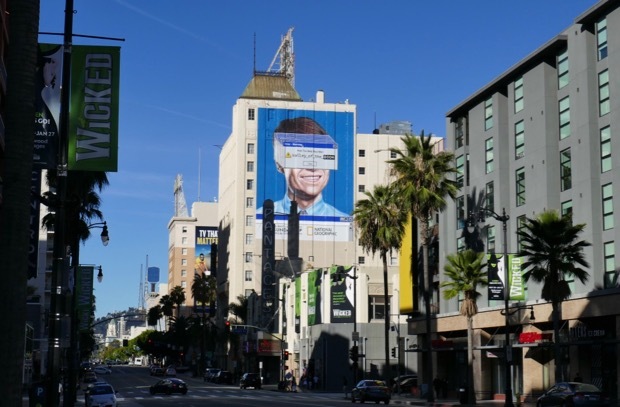 The boom and bust of the 90s were a turbulent time, but it's worth noting it's been just over a year since the Federal Communications Commission voted to gut net neutrality, so let's hope that the world wide web is there for everyone to access and enjoy in the future no matter how many greedy and corrupt politicians try and take it away from the people.